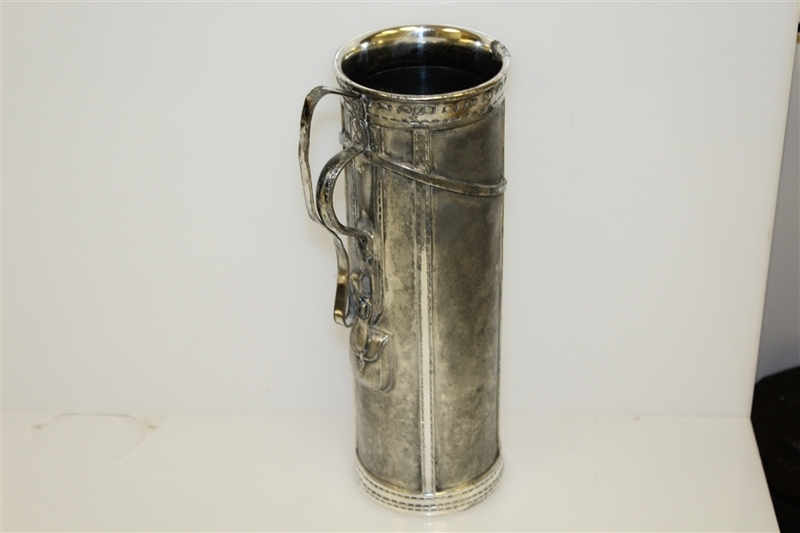 Lot Detail - Silverplate Golf Bag Cocktail Pitcher- Derby S.P. 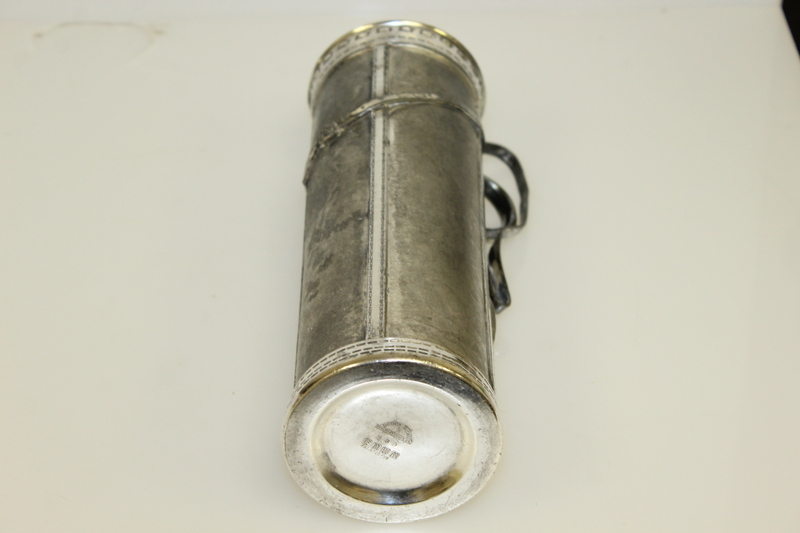 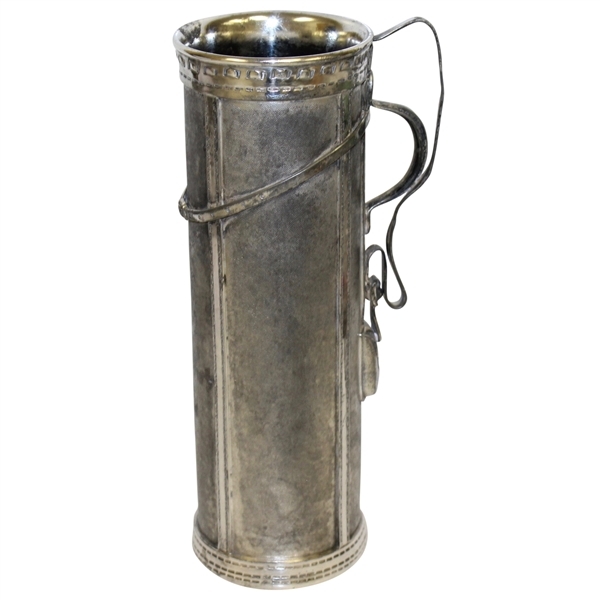 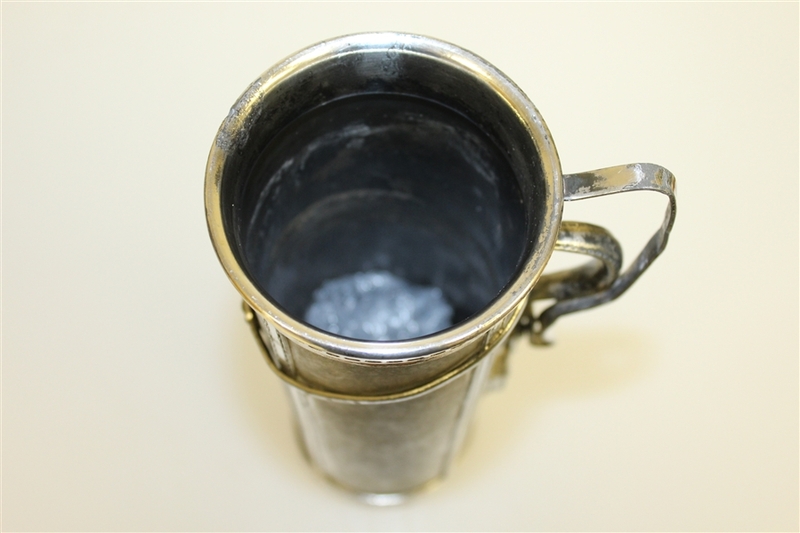 Co. International S. Co.
Silverplate Golf Bag Cocktail Pitcher- Derby S.P. Co. International S. Co. Here we have a 1926 Derby Silver Plate Company golf themed cocktail pitcher. 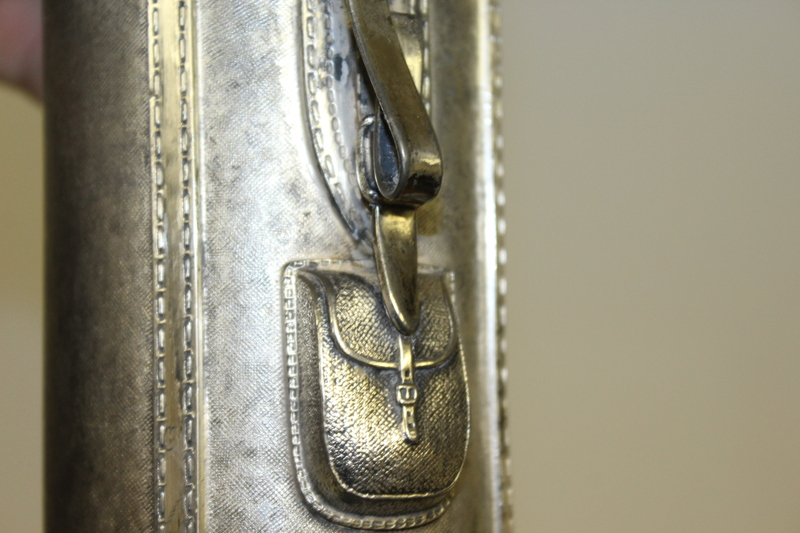 This piece has intricate design throughout, notably the "stitching." The Derby Silver Plate Company was founded in 1872 and became a division of International Silver Company in 1898. 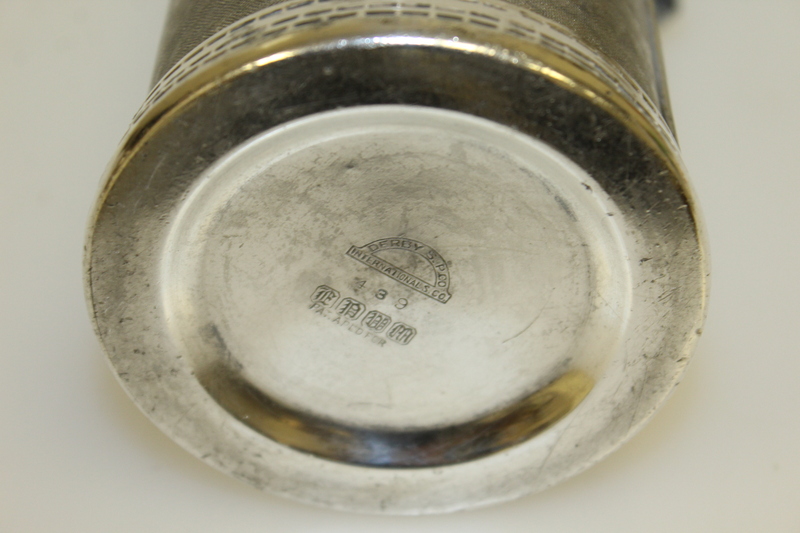 Derby still produced silver and silver plated goods under it's brand until 1933 when they closed up shop. 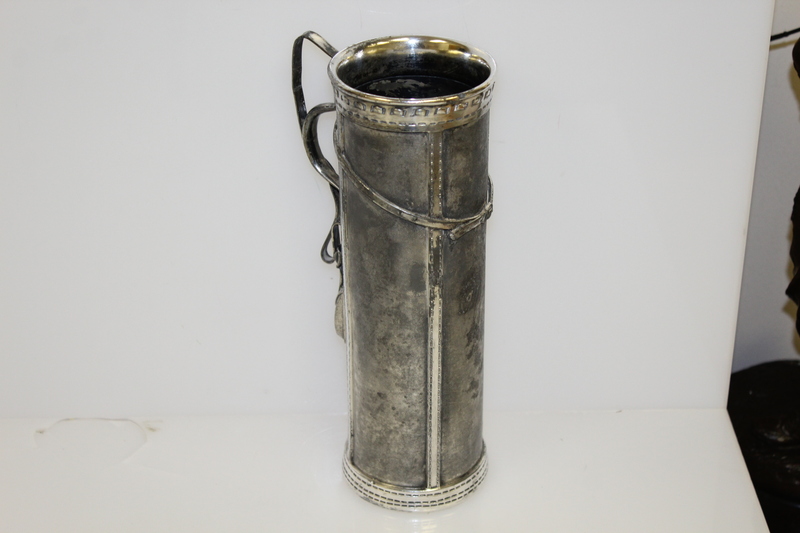 This cocktail pitcher comes in excellent condition, standing 10" tall with a top diameter of 3 1/2", not including the handle.